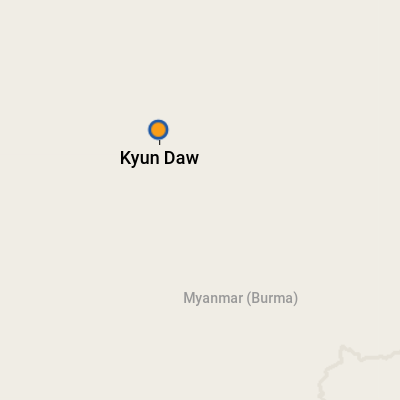 Kyun Daw is a tiny village at the north end of the Irrawaddy River in Myanmar. It's actually a small island, and Avalon Waterways is the only river cruise line that visits it. It's a comparatively well-to-do village, where fishing is the primary source of income. Catfish -- as heavy as 600 pounds -- are coveted, and you'll see women carrying baskets of fish throughout the village. Neat wooden houses built on stilts line the dirt roads. A visit to Kyun Daw will probably include a stop at the village schoolhouse, where you'll get a chance to interact with children from kindergarten age to fifth grade. Be prepared to spend a lot of time smiling, laughing and singing along with the kids, who will be as fascinated by you as you are by them. The currency in Kyun Daw is the kyat. The language spoken in Myanmar (Burma) is Burmese.